Courtesy of WOWSA, Huntington Beach, California on August 14th. 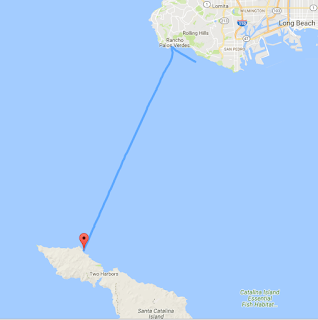 Oliver Wilkerson swam - fast and straight - across the 20.2-mile Catalina Channel. His successul 9 hour 12 minute crossing was his last leg of the Triple Crown of Open Water Swimming while fundraising for The Chamwell Centre Charity. "This wonderful local charity deserves our support [for its] state of the art therapy centre for disabled kids in Gloucestershire...it supports families and kids who need help the most. Your donations and support are very gratefully appreciated." The highlight of his swim was a pod of dolphins that swam near him in the last 2 km of his crossing. His Triple Crown achievement only took a cumulative total of 25 hours 2 minutes 11 seconds (with his 11 hour 6 minute English Channel crossing + 5 hour 44 minute Manhattan Island record circumnavigation swim + 9 hour 12 minute Catalina Channel crossing). 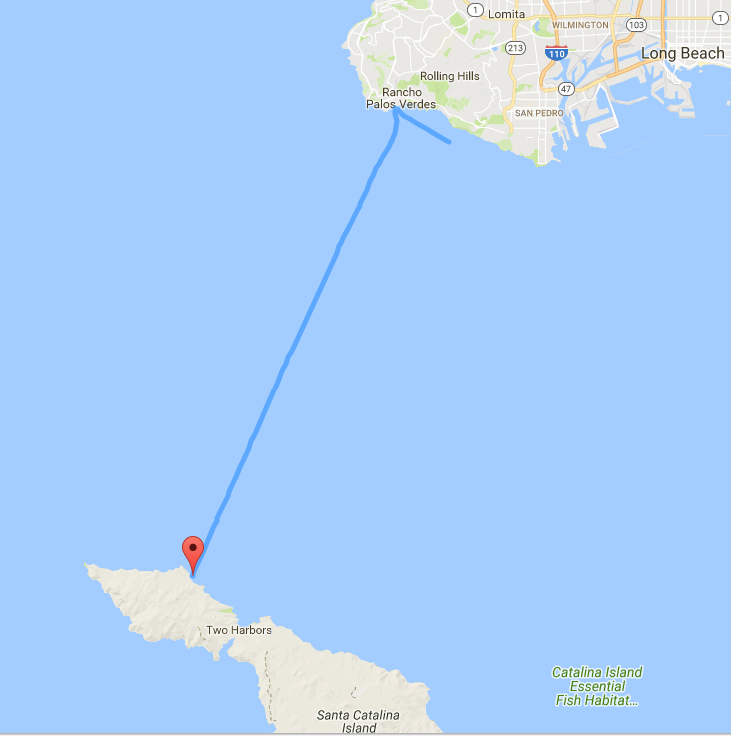 In addition to his Triple Crown, his Catalina Channel was his fourth Oceans Seven swim.